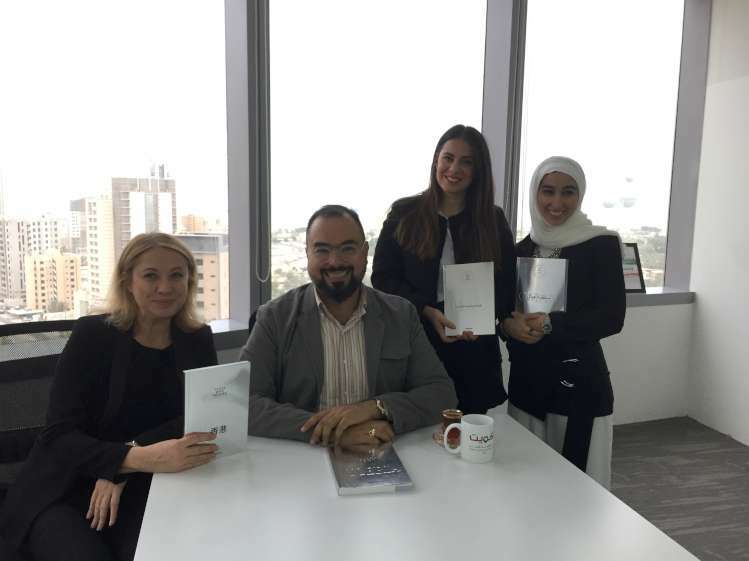 In March 2017, we started a new adventure and our third book in the Arabian Gulf area, this time in Kuwait. We didn’t only discover Kuwait, we learned as much as possible about Kuwait and the different concerns of the Kuwaiti youth. By doing so we can inspire the Kuwaiti Millennials through unique stories of local role models of famous people and unsung heroes. “We have noticed that all young people have different concerns, even if there are general concerns to the Millennials. We adapt our books to each country, so of course in Kuwait the concerns of the youth were different than for young Hongkongers or young Nigerians. We have seen that they might be concerned by diabetes, for example, which never was an issue in Nigeria. We have also seen that being an entrepreneur is in the blood of the Kuwaiti people,” says Delphine Barets, the Co-founder of Those Who Inspire. We have been welcomed by the Ministry of Youth in Kuwait and we have been collaborating with them from the beginning of our project in Kuwait. From March 2017 until March this year, Kuwait is the capital of Youth in the Arab World. The Those Who Inspire Kuwait book is one of the examples that Kuwait institutions are supporting in order to inspire and motivate their youngsters to pursue their dreams and follow their passions. Pilar Carrasco is the director of Those Who Inspire Kuwait and she has been meeting with Kuwaiti people from all walks of life, hearing their stories and discovering many interesting things about the young generation in Kuwait. “It’s an amazing journey, we started in March 2017 and we have interviewed nearly 58 inspiring people from different backgrounds and with different stories. We are actually finishing all the interviews,” explains Pilar. “You don’t need to be an engineer or a lawyer, there are many other options and fields. We try to portray people that are doing different work so they can inspire the youth in many different ways,” she says in an interview with KTV2. Among the inspiring people that will be portrayed in the Those Who Inspire Kuwait book, you can get to know the story of Ali Dashti, an entrepreneur and motivational speaker who helps people to find happiness and success. Dr Essa Al Essa is an example of hard work, creativity and dedication to its vocation. Maha Albaghli, another IP of Kuwait shared with us how it was to start the first social responsibility organization in Kuwait and her work towards empowering women and the youth. And Dr Hanan Al-Mutawa will inspire you with her trailblazing story about her life-long work in the educational system in Kuwait. Keep an eye on the news section and our social media and soon we will be revealing more inspiring people from Kuwait keen on helping the Kuwaiti youth to achieve their dreams and mentor them.